A new adventure awaits so why not dress up your passport for your travel adventures? 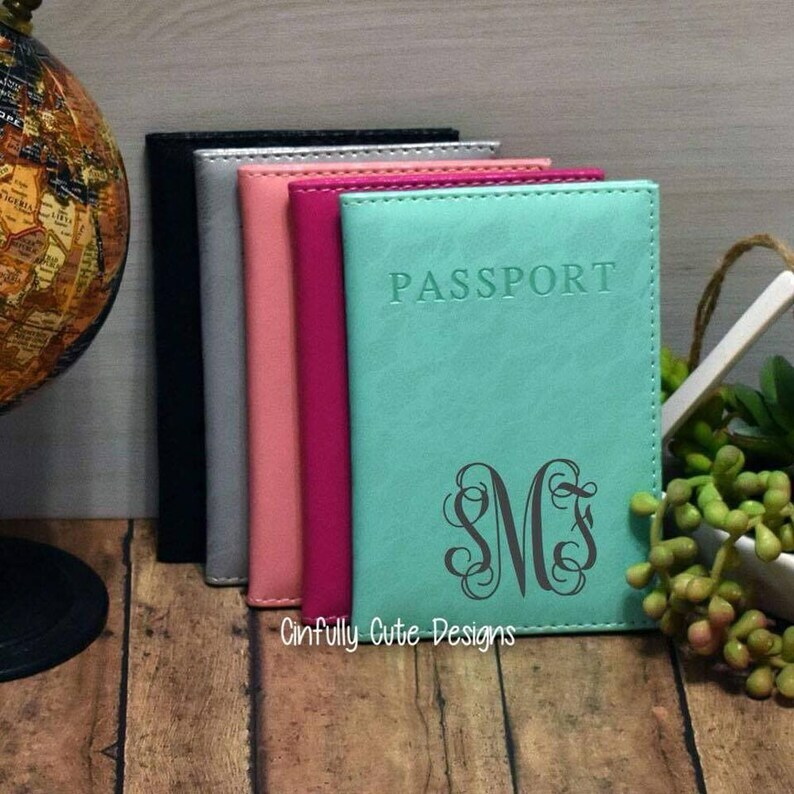 These beautiful faux leather passport covers feature black inside with clear pockets to hold your passport securely in place. The delicate lacey rose embossing shines when the light hits it giving your passport a truly beautiful look. These are perfect for a girls trip or bridal party! Available with Vine Monogram (shown in listing picture) or Circle Monogram in your choice of vinyl color. When ordering, in the Notes to Seller box, please provide the full name of the recipient so that we may correctly create the monogram, and specify the color of vinyl for the monogram. Please choose Vine or Circle Monogram option. We use commercial grade heat applied vinyl for the monograms. Personalized and custom made items are non-returnable and non-refundable unless there is a mistake or error on my part, so please double check the accuracy of names, monograms and/or dates prior to placing your order. Please convo me with any questions prior to ordering. If Rush Delivery is needed, please purchase our Rush Order Delivery option (separate listing). More pictures my items can be found on my Facebook Page, Cinfully Cute Designs ... please visit our page often as new items are being added all the time! Thank you for your interest and for your support of my small business!